Finally, the last day of this diet. I can’t call it much of a cleanse because in my opinion when you cleanse you put cleaner foods in your body. Mostly fruits and veggies. Red meat is already harder for your body to digest so that just seems counterproductive to me. Weighing in this morning I was down less than a half pound. For breakfast I had an apple, and for lunch I had some more of the soup, I also had the last piece of flank steak. Later I had an orange and some pistachios with a decent amount of water. You can probably tell, I’m no longer committed to this thing. I think a lot of it has to do with the fact that I was expecting larger weight loss and I know that following other plans would have likely resulted in the same or greater results but with slightly less food restriction. If I were to do it again I would likely alter the plan to include fruit, veggies, soup and no meat for 3-5 days. Overall, my total weight loss was 6.2 pounds and that was without working out or exercising. If I’m down more lbs. in the morning, I’ll edit this post to share. Thanks for following me on this short journey. Woke up this morning feeling great and not tired. This of course happens on the weekend but never during the week when I just beg for morning to come later rather than sooner and usually wake up exhausted. I weighed myself and almost screamed in frustration. I’m actually up almost a 1/4 of a pound. Seriously?!?! I gained weight! This is discouraging to know that restricting my normal diet resulted in adding weight. Maybe it was the potatoes in the soup I don’t know but I’ll be eating around the potatoes now. For breakfast I cooked two of the three beef products I had purchased from Whole Foods for this diet/cleanse. I seasoned it well and added a lil Extra Virgin Olive Oil to the pan to avoid sticking. Let me just say that the Beef Loin Tenderloin Steak was superb. It was so tender and I could tell that before I even cooked it. 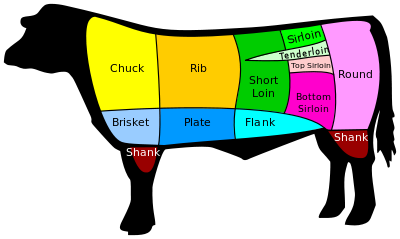 I’m not very knowledgeable about cuts of beef in general, but from what I heard on the news recently the names of the beef and pork cuts will be changing to make it more consumer friendly. 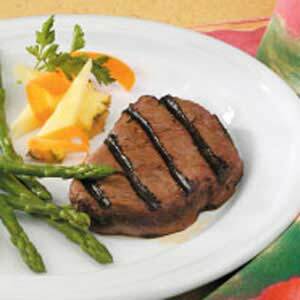 I ended up only eating one of the steaks it was so tasty but I a used half a teaspoon of A1 Steak sauce because I just love that stuff. And I made one egg to go along with it. So I cheated a little but at this point I’m not sure it’ll make much difference in the program. I also had a little soup and a tomato while I was cooking the steaks. For dinner I had more beef and a bowl of soup. I won’t have the 6 whole tomatoes recommended on the plan but the soup contains several tomatoes so hopefully I’ll have had enough. Water intake should increase from 80 ounces to 112. I’ll try my best to get as close to 112 as possible. But it’s not looking good. Yesterday I stumbled upon the 7 Day Diet/Cleanse found here. Since it was already late I decided I would go shopping today and start on Tuesday. 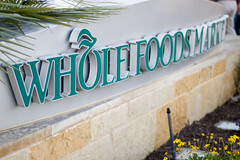 Whenever I decide to eat a mostly fruit or veggie diet, I always visit my local Whole Foods Store. I’m not really sure why because they’re almost always priced higher than most normal grocery stores and that’s for non-organic products. Anywhoo, I spent about $108 in Whole Food preparing for the next 7 days and of course I forgot something…the cabbage, but since I don’t need that until Thursday, I have time. I plan to share my experience with this diet/cleanse including my weight loss. The plan consists of a strict regimen of fruits, vegetables, lean beef, and lots of water and estimates a 10-17 pounds weight loss. I won’t go into the detail of the plan here because the full story is linked and I’ll give the details how I followed it, on each days post.